A true-to-life case of childhood dreams coming true, one gets the impression that the success of humble comedian turned actor Ray Romano is more of a surprise to him than it is to those who supported him in his years as a struggling futon deliveryman moonlighting in standup. Born in Queens, NY, in 1957 and raised in nearby Forest Hills, Queens, Romano found happiness early in life by tickling the funny bones of family, friends, and of course, girls. The middle child of three sons, the aspiring funnyman refined his comic talents when he formed the bravely titled “No Talent” comedy troupe at age 16 to the delight of the congregation they regularly performed for. Romano later put his spotlight aspirations on hold when he enrolled in Queens College as an accountants major after graduating high school in 1975. Dabbling in odd jobs as he developed his stage skills on the late-night comedy circuit, Romano began an exhausting decade-long struggle to succeed as a standup while holding a more reliable day job. Married to wife Anna in the mid-’80s, Romano decided to pursue comedy full-time in 1987. It was shortly after winning a N.Y.C. radio station-sponsored comedy contest two years later that Romano acquired a manager and his dreams began to become a reality. One of those dreams, to perform in front of legendary late-night television host Johnny Carson, came true in 1991. Finally gaining national exposure and seemingly on the fast track to stardom, more television appearances soon followed, with a 1995 appearance on Late Night With David Letterman prompting Letterman to begin talks with Romano about the idea of developing a sitcom. Premiering in September 13, 1996, Everyboy Loves Raymond found the now-popular comic’s offbeat domestic observations striking a chord with both audiences and critics alike. Nominated multiple times for numerous awards (including three Emmy and two Golden Globes), ELR carried on well into the new millennium, which saw the now-established comic branching out into other arenas as well. A June 1999 recording of a Carnegie Hall performance was nominated for a Grammy, and his novel -Everything and a Kite turned up on the New York Times bestseller list. Television appearances on Hollywood Squares, Who Wants to be a Millionaire, and a somber turn in America: A Tribute to Heroes found American households increasingly willing to welcome the good-humored everyman into their homes. It was only a matter of time before Romano tackled feature films, and with his vocal role in 2002′s Ice Age, the likable comic did just that. A lighthearted animated romp which followed the adventures of a group of animals weathering the new frozen landscape in order to return a human child to its father, Ice Age gave Disney a run for their money and further proved that popular computer-animated family fare was no longer exclusive to the Mouse House. Jason Buchanan, Rovi. Do you want to hire Ray Romano? Directly request a quote. In 48 hours we can send you the availability of Ray Romano If you would like to book Ray Romano, Entertainment Booking Agency is the right place. We will offer you the best price and contact the management or we directly contact Ray Romano. For corporate appearances or speaking engagements you can contact our agents and the will help you true the process. 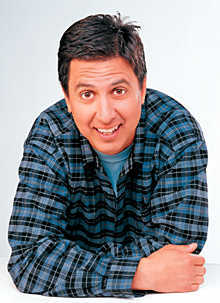 Tags: hire Ray Romano, Ray Romano booking, book Ray Romano, Ray Romano appearances, find more information on booking Ray Romano for appearances, Ray Romano speaking engagements, Ray Romano endorsements/spokesperson, Ray Romano appearance fees, Ray Romano booking agency contact info, biography of Ray Romano, Contact an artist booking talent agent find a speakers bureau that can book Ray Romano, speaker booking agency for Ray Romano, Ray Romano booking agency, Ray Romano booking for corporate event. EBA is one of the biggest entertainment booking agencies in the World. We book hundreds of celebrities, artist, athletes and speakers in a year. Important to know is that we are not claiming to be the management of Ray Romano. We are not the official agent for Ray Romano. Companies from around the globe book these artists and speakers true our company be course we have one of the biggest networks and we always have direct contact with the artist or the management. We help you to find the right celebrities for your corporate of private events. Please contact one of our agents to get free advice and we will help to get the world-famous artist on your party.